“History is a version of past events that people have decided to agree upon," Napoleon Bonaparte once famously said. In other words, there are many sides to every story. WHAT REALLY HAPPENED? chronicles documentarian Andrew Jenks as he examines and contextualizes famous figures and historical events, while discovering untold stories and unraveling newfound narratives. With today’s technology, access to information, the ability to communicate from all parts of the globe, and cross-reference historians, Jenks takes on his own rogue investigations. He does not go down the rabbit hole of conspiracy theories, nor does the show purport to solve every historical mystery. Instead, Jenks often times throws a wrench in the gears of history, getting either closer to the truth or creating more questions. 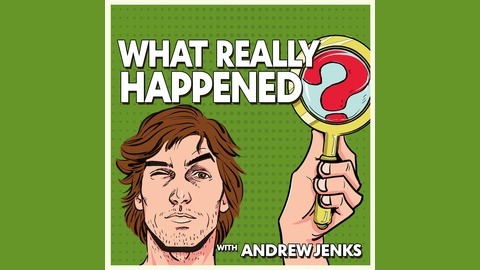 WHAT REALLY HAPPENED is executive produced by Seven Bucks Productions’ Dwayne Johnson, Dany Garcia and Brian Gewirtz, Andrew Jenks and Cadence13. Jerry Ferrara starred in HBO’s hit comedy, Entourage, and now has a leading role in the acclaimed Starz show, Power. 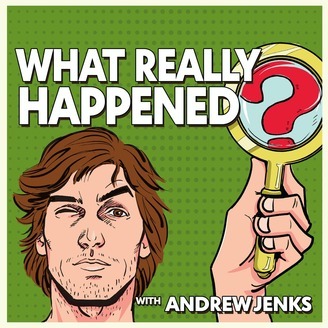 In this episode, Jenks talks to Jerry about working with everyone from Morgan Freeman to Mark Whalberg, navigating the Hollywood landscape, and much more. It also becomes increasingly obvious over the course of the interview that Jenks is smitten with Jerry.